The drive sprocket is attached the final drive motor (aka, track drive) so that when the drive motor turns the sprocket also turns. As the sprocket turns, its teeth engage with the track links and cause the track to move in a continuous loop -- much like the sprocket on a bicycle engages the chain to make the wheels turn. The teeth of the drive sprocket act much like gear teeth as they engage with the tracks, but if you examine the teeth closely you’ll notice they don’t look like standard gear teeth. 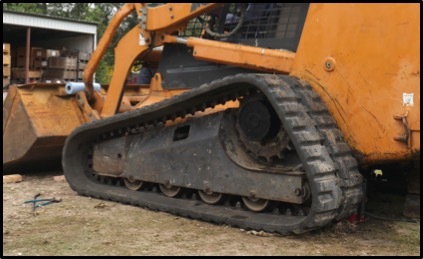 For smaller machines such as compact track loaders and mini-excavators, the sprockets are in one piece. On larger machines, such as full-size bulldozers, the sprockets usually come in two segments. This makes it easier to remove/install the sprocket. In either case, the sprockets are bolted to the final drive motor and because the number of bolt holes on sprockets can vary, it is a good idea to check that the number of sprocket bolt holes match up with the bolt holes on your track drive motor. Failure to do so will mean ordering the wrong final drive track motor. Drive sprockets weren’t always designed to be bolted on. At one time they were welded onto the final drive motor and had to be cut off when they were replaced. Eventually, welded-on adapters were installed that allowed the sprocket to be bolted on, and more modern designs use the bolted approach altogether. When someone sends in a final drive motor for us to take a look at or rebuild/reman, we advise them to remove the sprocket. We don’t need the sprocket in place to evaluate the motor and the added weight (which can be significant) unnecessarily increases your shipping costs. The teeth on a drive sprocket are where you look for wear. They should be tall and flat at the end, not sharp or dished at the end. And the sprocket, and more specifically its teeth, begin to wear, its diameter becomes smaller. This causes what is known as a pitch mismatch, where the teeth on the sprocket no longer interact with the track links as effectively. This can accelerate the wear of the sprocket and reduce the efficiency of your equipment. If your sprocket shows sign of excessive wear, then its time to replace it before it starts to cause abnormal track wear or begins to negatively affect the performance of your final drive motor. One of the key ways to prevent accelerated sprocket wear is to check the track tension. If the tension is too tight, it will cause wear on the sprocket teeth. 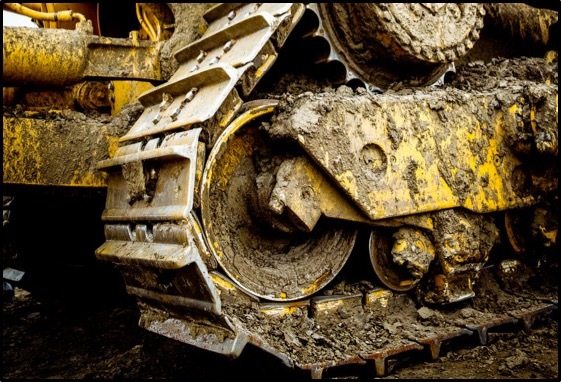 We’ve talked before about the importance of keeping the undercarriage clean, and the condition of the undercarriage can affect the track tension (especially if there is a build up of dried mud and debris). That's part of the reason we put so much emphasis on keeping the undercarriage clean. 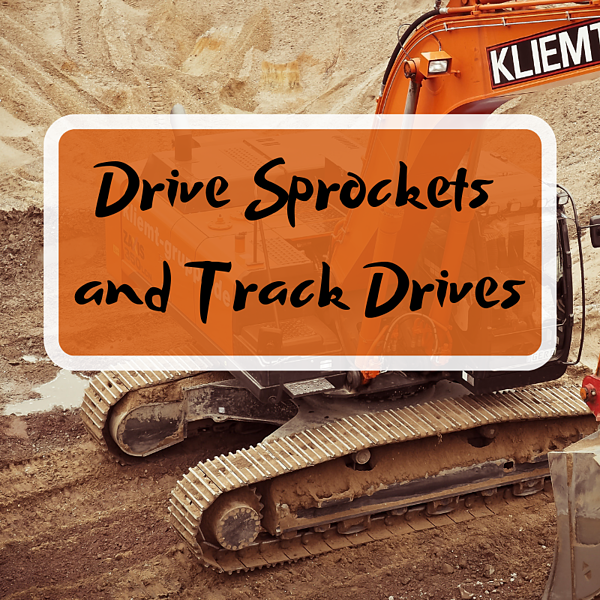 Without a functioning drive sprocket, your track drive won’t be able to propel your machine. Fortunately, there are ways to help your drive sprocket last longer: keep the track tension at a proper level and keep your undercarriage clean.